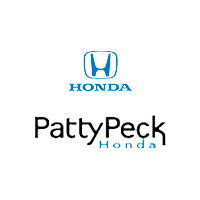 At Patty Peck Honda, we understand that shoppers have many different choices when it’s time to choose a dealership. That’s why our staff is constantly working to go above and beyond when it comes to customer service. In every encounter, the #1 goal for our Honda dealer serving Madison County is to meet our customers needs while exceeding their expectations. Take the first step toward an incredible dealership experience of your own by visiting our Madison County Honda dealership. For more information, give us a call at 601-957-3400 or click on one of the buttons below!